All aspects of general business, corporate and real property litigation. In particular, Mr. Fine represents officers and directors, board of director committees, savings and loan associations, and others in financial institution litigation involving FSLIC, FDIC, and RTC, and in SEC investigations and securities litigation. 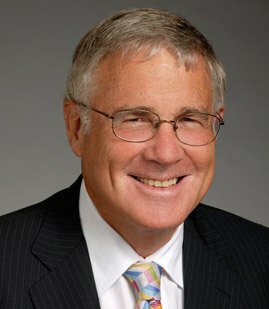 His practice includes environmental transactions and environmental litigation with federal and state environmental agencies involving regulatory and permit proceedings and cost recovery actions, private party environmental litigation, as well as land use, CEQA, and real property litigation and consultation including eminent domain. In addition, Mr. Fine represents individuals and companies in administrative law proceedings before local, state, and federal agencies, and in administrative mandamus proceedings. Represented a major New York Stock Exchange company in a matter involving the Foreign Corrupt Practices Act. Represented a major New York Stock Exchange company in a matter involving the False Claims Act. Represented numerous companies and individuals in matters involving the Comprehensive Environmental Response Compensation and Liability Act, the Clean Water Act, the Clean Air Act, and other significant federal and state environmental laws. Represented major security alarm associations and alarm companies regarding unconstitutional and unlawful ordinances and their enforcement as to alarm companies, including recently before the Utah Supreme Court. Represented plaintiff in Halaco Engineering Co. v. California Coastal Commission, an important mandamus case decided by the California Supreme Court, and other major decisions by federal and state appellate courts in complex litigation involving multiple districts, environmental, land use, antitrust, RICO, and class action suits seeking substantial damages. Represented a major environmental non-profit organization in a matter involving the National Environmental Policy Act.